This is a very thin, lightweight Hat, just as they were over 100 years ago. Handcrafted from the very finest of hatters furs... Except these are 100% Beaver, Premium select Belly. It is felted tight and pounced to the smoothest silk like finish possible. This hat is trimmed in a 14k 3 piece solid Gold buckle set and lined in the finest Ivory silk. Its steer hide sweat leather is split to a 31/2 oz thickness, which makes it longer lasting and more durable than any that we've ever seen. 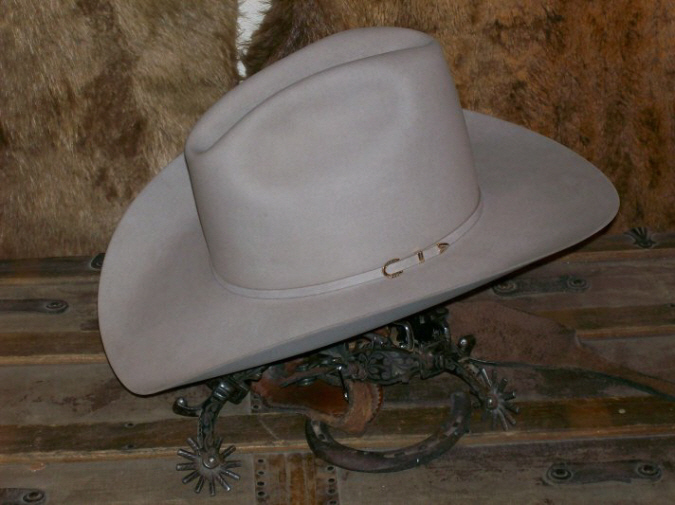 I Truly Believe this to be one of the finest hats ever made... second only to The Silver Beaver!